Hi I just wanted to introduce myself. 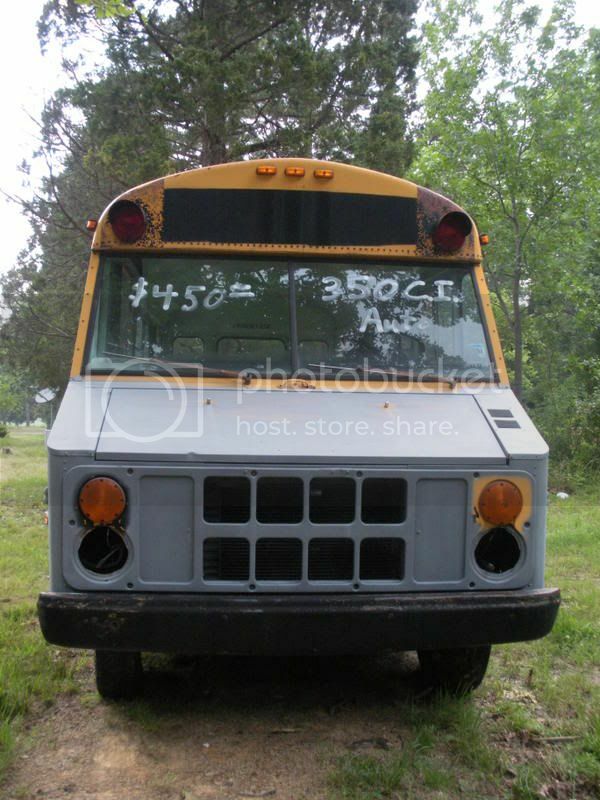 We just bought an old shorty bus for my son, we want to turn it into a teen hangout for him. 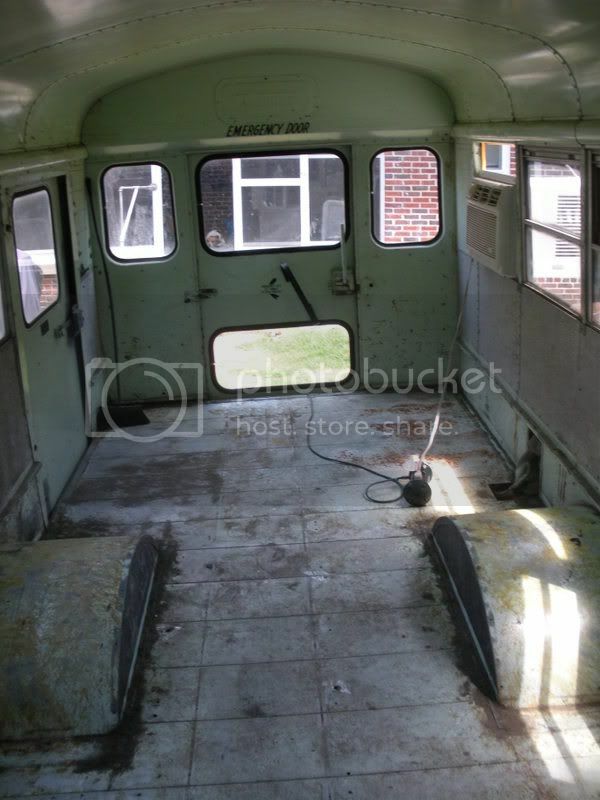 We are laying flooring, painting and plan on building furniture for the bus any suggestions appreciated. 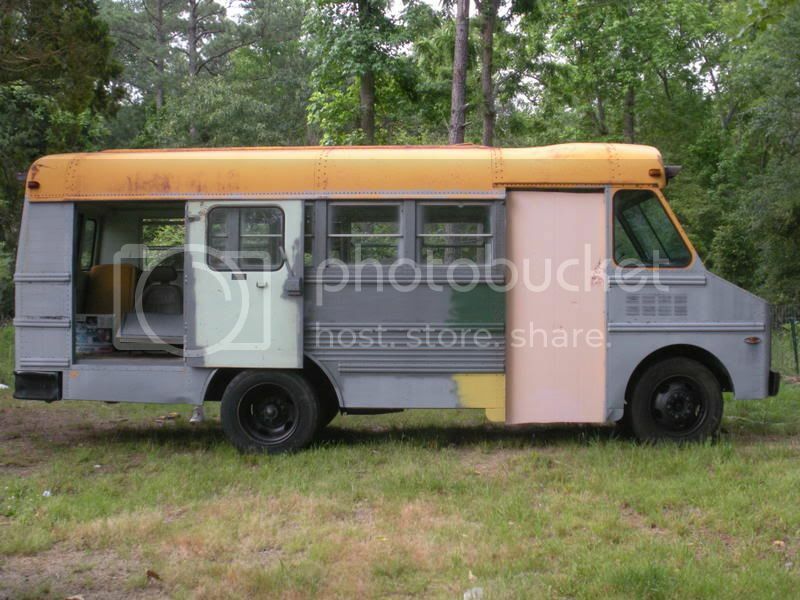 Since the bus will be stationary the front will be gutted and turned into an entertainment center. Heres a couple of pics to show you what we're working with. Good idea, that should work just fine. I like that model bus and if I ever do another conversion that may be the one I go with. Welcome to the forum, there is a lot of helpful and friendly people here. the ceiling height is 73"
You can post photos from photobucket directly onto everyone's screens by using the bottom of the four addresses below the picture -- the "IMG code".